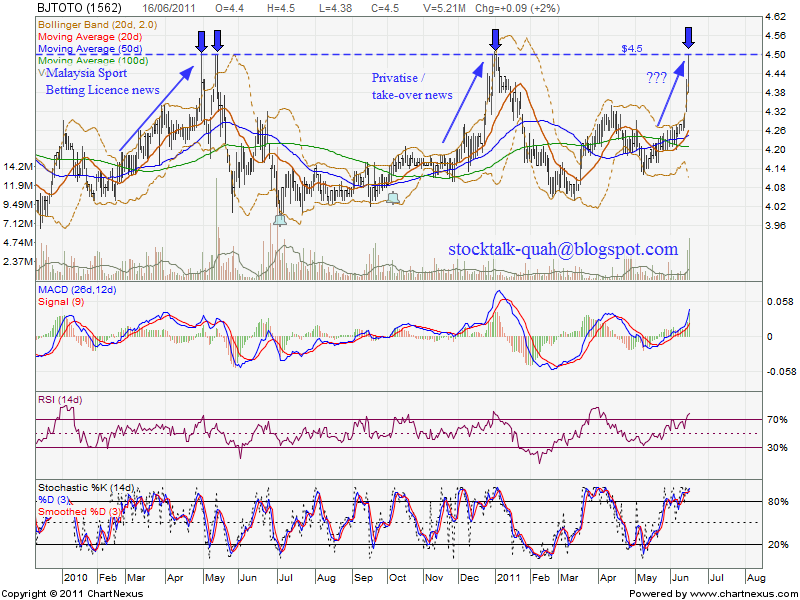 On 16 June 2011, BJTOTO retest RM4.50 resistant level, will it break through? On April & May 2010, attempt RM4.50 due to Malaysia Sport Betting Licence news. On Jan 2011, attempt RM4.50 due to Privative / take-over news. How about this round, June 2011? What's the news & root cause behind this bull run? BJTOTO will announce quarterly financial result soon. Is that due to positive quarter financial results or something great news yet to announce? 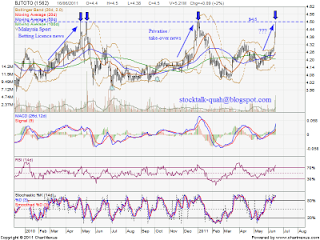 No matter trader or investor also eyes on their quarter result especially dividend payout.